I think I did that with my Fantasy Village Terrain. I believe I added the same map twice to kind of clamp down on the shoreline or transitions between levels on the terrain and still get the depth I needed for the ponds. Sorry to be DUH, but did you create the terrain in Howler? Does it do THAT? Or did you make it in Car and then went to Howler for texturising? Anywho... here's my scene resurrected from bloody crash. I am displaying the WIP part in Gourard so you can see all the individual animals and they are not replicated. Am fairly happy with the blood part. 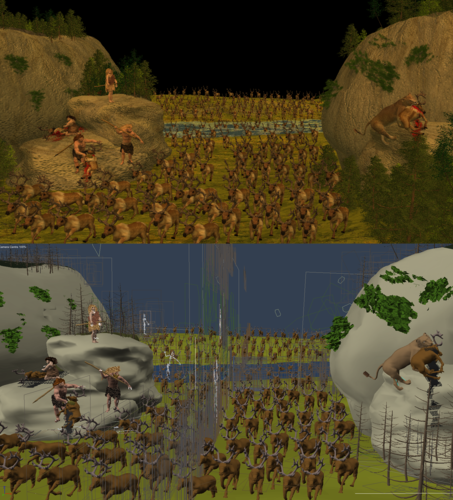 It's not meant to be about gore, it's about the caribou migration run and the hunters and lion and scavengers to be added. Have to do the background now..... that's going to take some time so I won't be posting anymore WIPs until next week at least. Is the use of any HDRI background allowed, even if my own photo or something I created in PS? That is looking very sweet, Silene! I used Howler to paint the height maps for use in Carrara. The pics of the height maps for this post were sent into Howler's 3d Designer to visualize a possible end result. 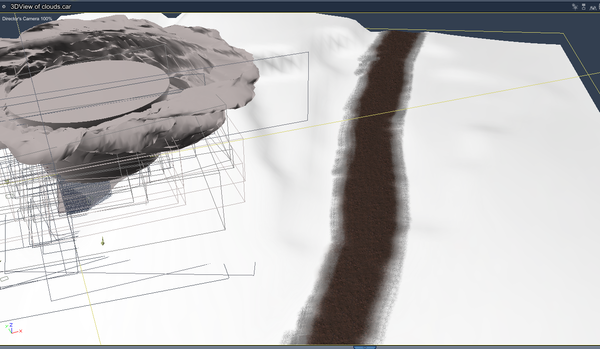 But I actually used the Carrara terrain modeler and imported the maps in there. I also used Howler for the motion blur. Yeah, I think the blood works nicely. And like you say... not a gore-bash. Very nice. Just think... finally that crippling pain can subside, right? OK, will look into Howler when I am more advanced with terrain making. This is the first time I have made anything like terrain or cliffs thanks so much and to EP too. Now I have to start on sky but am side-tracked rigging a hyena. Hmmmmm. Appreciate your and Rosie's positive thoughts and prayers... it's always dodgy when you have someone dig a hole in your spine. But it's a simple procedure, it's just the surgeon thinks my odds of getting rid of all the pain if 60/40 vs 90/100 in most cases. It's only a herniated disc FFS but there seem to be more than just one nerve irritated/connected so that's why he's not sure trimming the herinated disc will stop any other nerve(s) in the are from continuing to cause aggro. But it will improve the one nerve that is causing the worst pain... and I will do PT and start exercising/walking again if I can. Have gained 20 pounds!!!!! :sick: I fear the consequences of that more than surgery! And having to wean of some of these drugs. Ugh. Oh well... committed now and I will stay positive. There are other people with much worse health problems than me. So fingers crossed! I would think an HDRI would be perfectly acceptable. 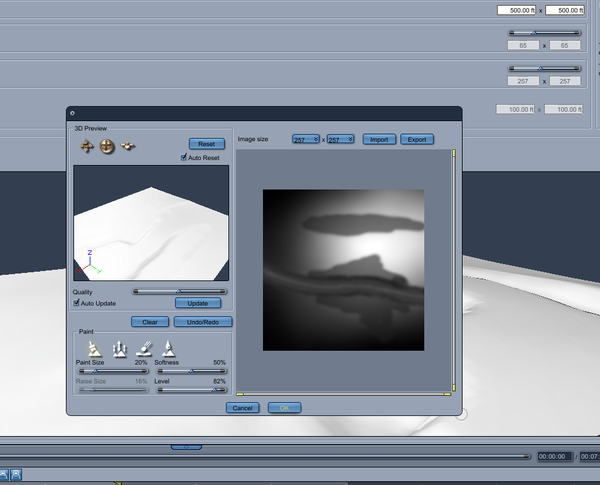 If you're using it for an image based light (IBL), then make sure Skylight is enabled in the render room. 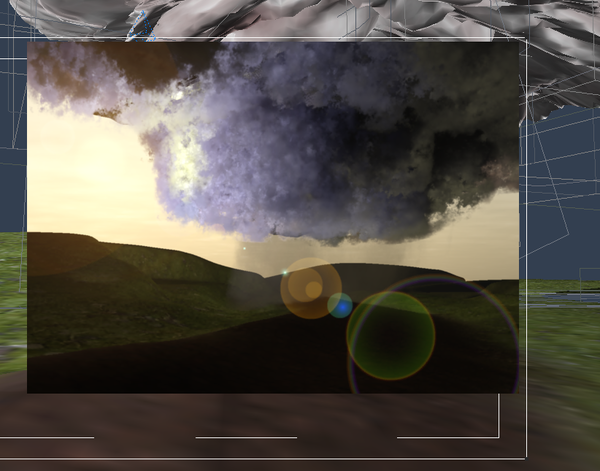 I should also mention that a realistic sky will also act as an IBL. If you change your key light to a sunlight it is tied to the RSE for position and brightness. There are many presets. Under the Misc. tab in the Browser you should see some. Select Scene in the Instances palette and then the General tab. Drag the icon for the sky you want to use and drop it on the Atmosphere in the General tab. I agree with Phil! Best of luck! I would think an HDRI would be perfectly acceptable. Especially images you've taken yourself! Bravo! 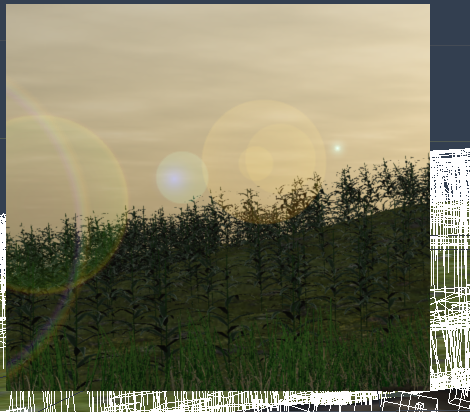 Here is my start of the terrain, and the rain, I had to adjust some setting to make it darker otherwise in my scene it wasn't visible. My terrain I exported the map and then in photoshop edited it for a road and imported it back in, then painted the road in then in photoshop add all the grass color, next I'm painting in the details and It's all going to be covered in replicated grass, weeds and rocks. Thank you all very much for the good wishes...I feel very encouraged by them. I've felt very isolated these last 7 months...and all of you have been an inspiration to learn something new and kept my mind off my back and been great mentors as well as wonderful online friends! Kashyyyk, That tornado/cyclone/typhoon is amazing...I am glad you are posting how you are doing it....very helpful if some day I could think to try it. Can't wait to see the finished scene! @Lauren/Silene - Wish you the best. Plus, your WIP is looking great. You did a very good job on the blood. If you want to add a little more that is dripping, you might try the metaball modeler, but I think you have the right amount now. @Kashyyk - terrific job on the storm. Your approach to the rain seems to be working out. That is what I like about these challenges. Always learning how people solve neat problems in ways that can be used later. @PhilW - yes, there is no such thing as a bad place to wish someone well. Great job. I don't know why I assumed that you couldn't combine heightmaps. I just went back and played with my attempt to make the RR. 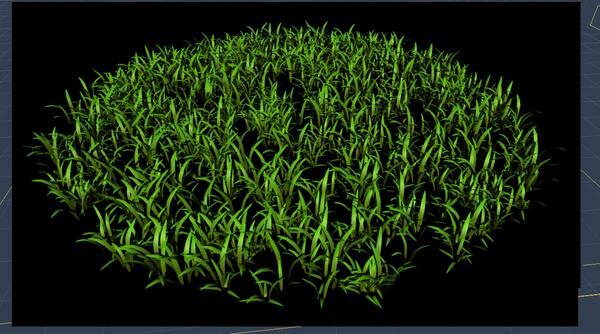 Combining heightmaps could make it even easier. 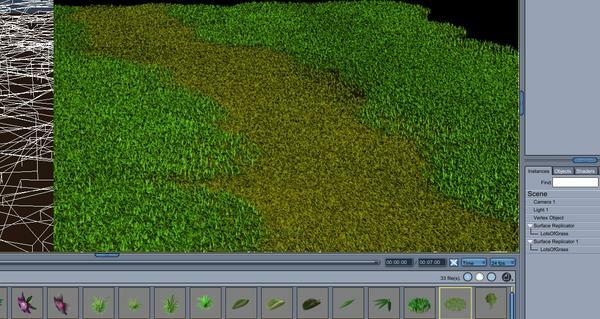 What an easy way to raise or lower specific areas of a terrain while simultaneously having a map to control its shader! Amazing. Pie fight is on now! For the field I created a quick corn stalk for the background. It's low detail but should fit my needs. But since I couldn't find one and had to make it, I put it up at sharecg with my police car texture for anyone to use too. Cool! Thanks! I'll have to check it out. Here's my latest version. I just need to work out a couple more things, and I think I'll be done. 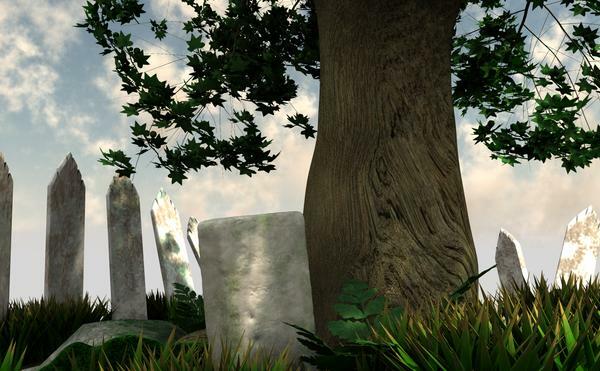 I still need to work on the tombstone texture. I like the old lettering effect I achieved, but I need to work on better weathering. I have a couple ideas to try. 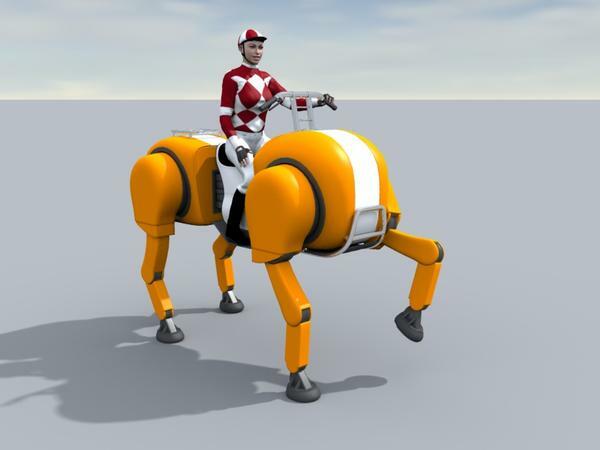 So I got my race... horse ... done. It's modelled in Hexagon, and setup in Carrara with ball joints constraints. Just a quick test, with some hedge jumping action shoot. Going for the Grand National theme for next week ( I think it's next week)? 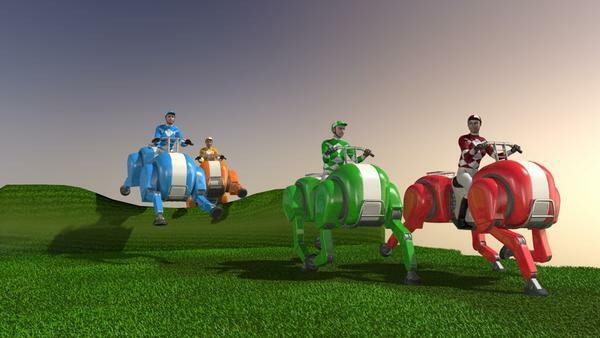 Your bot-horse will have a more humane run than some of the poor horses that actually take part. Nice construction, Varsel, can't wait to see your colourful field! Can we make bets? 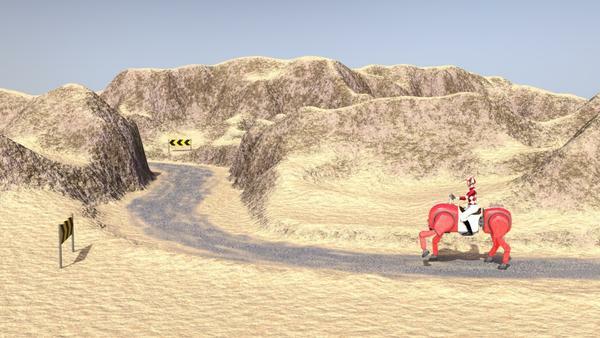 Here's my initial idea, in a sketch state.... Dessert race in between canyons and sanddunes. This is from the preparation to the race - get to know the route. I first created the basic terrain, to something that looked like what I was aiming for. 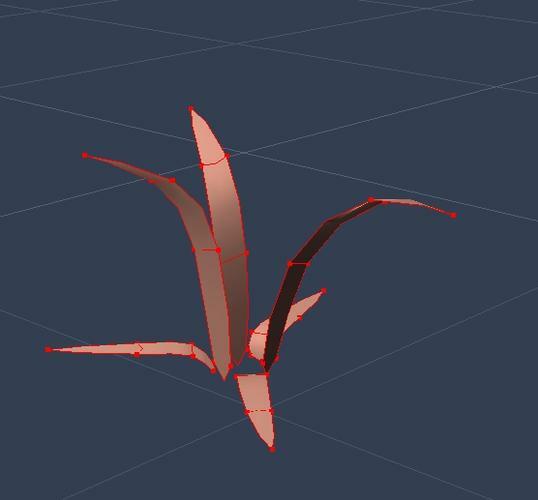 Then I converted it to a vertex object, and selecting the polygons where the track would be, flattened them (using soft selection helps with the edges). Using the paint tool to mark the track, and using this in a multichannel mixer to get the asphalt on the track. The road signs are simple vertex object. Then I got curios, and goggled Grand National. And its from 3-5 of April. And beside the pictures of the car, there where a lot of pictures and posters that did offer some inspiration. 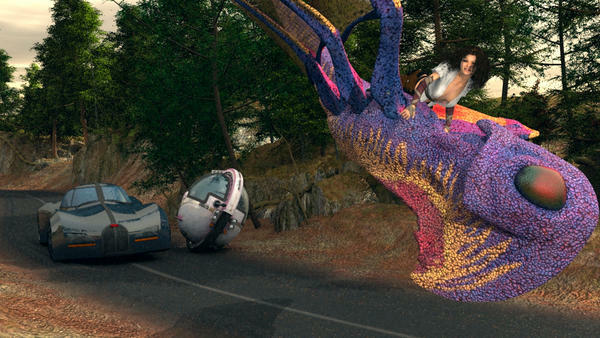 You wouldn't consider it cheating if you heard what the racers were saying about Rosie's Fly Dragon, whom, like Rosie, was originally just there to watch the race! This is just a raw render for the WIP thread... lots more to add, including my replicators. The terrain definitely qualifies as one of the Carrara objects need as per the rules. Started from scratch on that. But I still have a few replicators going in and some more terrain pieces, that I'll be making from scratch, just for this contest. Since laurenwbr did mention it, I started to explore the idea of the Grand Nationale. Started with the base shape, replicated that in a circle, and created real instanses. This gives you a group of (for me) 100 objects. Exported this group out as an .obj, and when reimported back into Carrara the group is converted into one object. Since this is a racetrack, there will be some damages and flattened areas. So my ground is a vertex object, with two shading domains. 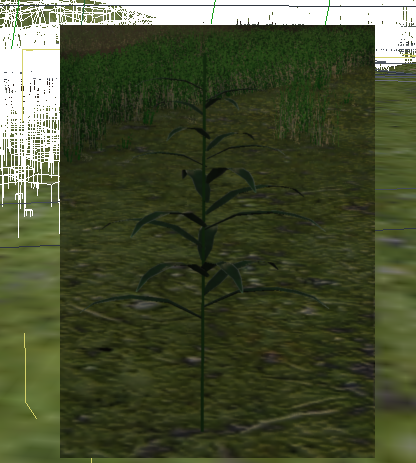 Healthy grass on one, and a copy of the healthy grass, that I flattened and re-textured. 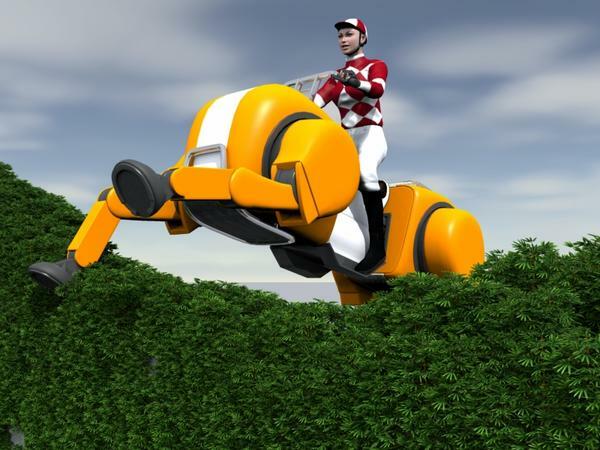 Yes wouldn't mind being a virtual Grand National Horse race with hedges, water hazards, etc. Too many horses in the field for my taste, and they get knocked down, jockeys dumped off.... general chaos. It's just luck who winds actually IMHO. Looks like a very humane version! Great looking grass! Silene... are you back? How do you feel? Like I've been stabbed in the back with a scalpel! It was a bit more complicated than expected, but I will be fine once it all heals. What a relief. Time is on my side, though, for real work. And I can finish my WIP, too!